Click to visit the web site of the area you are interested in visiting. To all our friends at the CVBs and tourism offices, contact us to update or add to your listing. Outdoor sports enthusiasts, nature lovers, music fans, history buffs and those who savor the fun and flavors of outdoor festivals and fairs will enjoy Webster Parish Louisiana. Whether you’re planning a family trip or a group get-away, Webster Parish will roll out the welcome mat while you rock to our music, relish our scenery, revel in our festivals and reel in the fun. 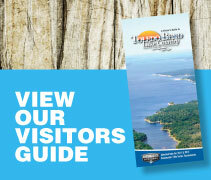 Visit our beautiful bayous, lakes and other natural wonders. Sample our proud southern heritage and hospitality. We celebrate this heritage and just about everything else at our area festivals, from Mardi Gras to Louisiana shrimp, sugar and music. We have produced prolific writers, musicians and artists. Our outdoors is its own work of art, from an award-winning Main Street, to lush wetlands offering ample birding and fishing opportunities in the heart of the Atchafalaya National Heritage Area. Just about 45 minutes south of New Orleans is an authentic Cajun lifestyle unlike any other. This unapologetic culture is all up and down the bayou, and is filled with outdoor experiences like fishing and swamp tours, along with regular celebrations such as food, music and festivals. Our Cajun runs just a little bit deeper than the rest of the state, and it shows up at every bend in the bayou. In Louisiana’s Cajun Bayou, our stories are rooted in this timeless bayou and centuries of history. Come see the unpolished, unspoiled beauty of the bayou when you visit Louisiana’s Cajun Bayou in Lafourche Parish. It’s where Cajun runs deep. Tucked between the swamps of the Atchafalaya Basin and the bustling state capital of Baton Rouge is a parish rich with legend and mystery, where tales of survival and triumph are central to its core. Iberville is a parish of magnificent antebellum homes and massive live oaks, of meandering bayous, historic buildings and waterways teeming with life. There is in Iberville a sense of history, a sense of grace and beauty, a sense of purpose and place, and most of all, a joie de vivre that we’re glad to share. Come discover irresistible Iberville. The parish now has six municipalities - Plaquemine, the largest city and capital of the parish, St. Gabriel, White Castle, Rosedale, Grosse Tete and Maringouin. It is experiencing an economic burst, with several chemical and industrial plants announcing new plant start-ups and expansions totaling well over $1 billion. A parish rich in history, Iberville is also a parish moving into a new and dynamic chapter of its long life.